This page is designed for the sole purpose to help you identify your current weed control problem. We are glad to provide this free service to you to help you to get more information on your pest control problems. 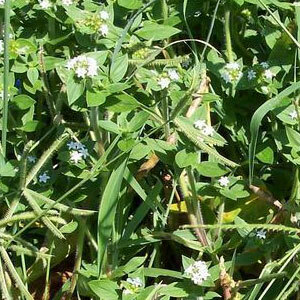 Florida Pusley is a summer weed that comes each year is Florida turf grass. This aggressive creeper grows low to the ground in thick patches. Florida Pusley will take over turfgrass areas and while it can be physically removed in small does, larger areas will likely required treatment. You can beat this weed through a properly maintained landscape that is not stressed by insects, diseases, drought or nutrient imbalance. Proper mowing heights for your type of also prevent the invasion of weeds. If you still can’t beat Florida Pusley, call us, we can help.